There have been SO many performers announced for the 57th Annual GRAMMY Awards that I’ve seriously been struggling to keep up between the solo performances, the duets, and the tributes! And if that’s been your case too, here’s a little recap of Sunday’s performances just for you! First of, let me just say that since they can’t have a total of 35 artists perform one by one within one single show, the Recording Academy has paired up some incredible artists this year! Nominee Jessie J & GRAMMY winner Tom Jones. Nominee Hozier & GRAMMY winner and current nominee Annie Lennox. GRAMMY winners Adam Levine & Gwen Stefani. Finally GRAMMY Cultural Ambassador To China, pianist Lang Lang; and Jeff Lynne’s ELO will also be performing while two-time GRAMMY winner LL Cool J will return as host. Music’s Biggest Night will take place live on Sunday, Feb. 8 at Staples Center in Los Angeles and will be broadcast in high-definition TV and 5.1 surround sound on the CBS Television Network from 8–11:30 p.m. (ET/PT). 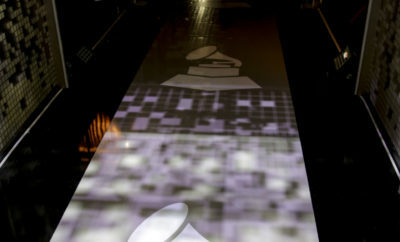 For updates and breaking news, visit The Recording Academy’s social networks on Twitter, Facebook and Instagram. Next Story → IMAGINE DRAGONS ANNOUNCES SMOKE + MIRRORS TOUR DATES FOR NORTH AMERICA. Nashville’s Chip Esten “Deacon” Interview! Talk New Season, Puppies, and Star Trek!